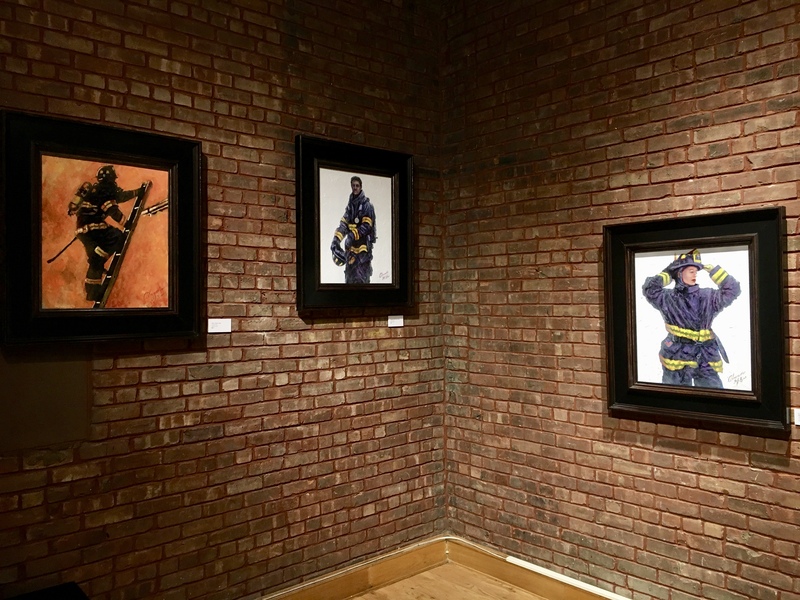 Following a five-day preview run, ideally located at the New York City Fire Museum on Spring Street, artist Alexander Millar’s firefighter portrait series, Everyday Heroes NYC moves on to a two-week run in a popular pop up space in SoHo. Hailing from Glasgow, Scotland, but now living in the north of England, Millar is a self-taught contemporary impressionist with a particular interest in late 19th and early 20th century blue collar workers. 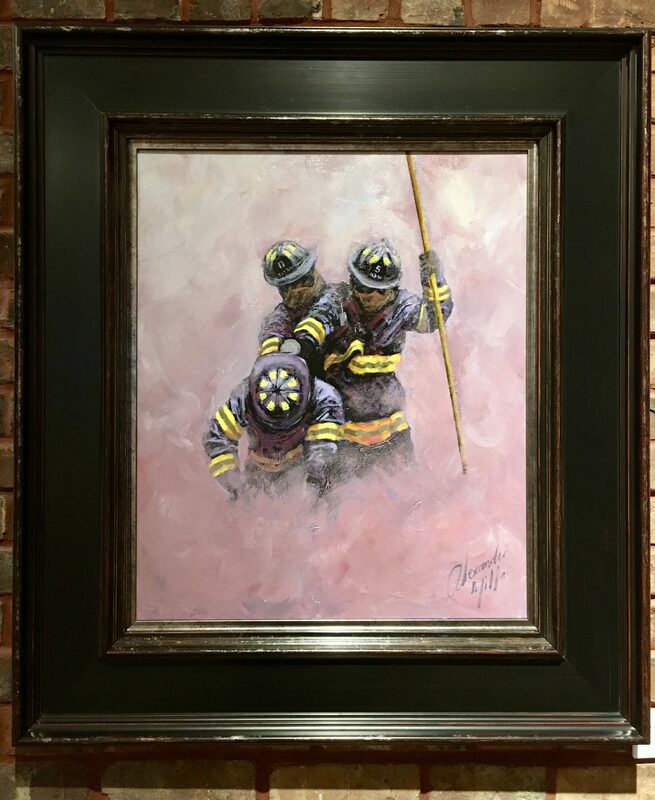 Millar now brings his critically acclaimed artwork to Manhattan with his series of original oil paintings and pencil sketches of New York Firefighters, some of whom have sacrificed their lives in the line of duty. The series is, not surprisingly, very moving, includes a portrait of Wesley A. Williams. Born in Manhattan in 1897, Williams became only the third African-American to join the New York City Fire Department, at a time of segregation and discrimination. He became the first African-American to be promoted to the rank of officer, when he became a lieutenant in 1927. Williams (now deceased) retired in 1952 with the rank of Battalion Chief. 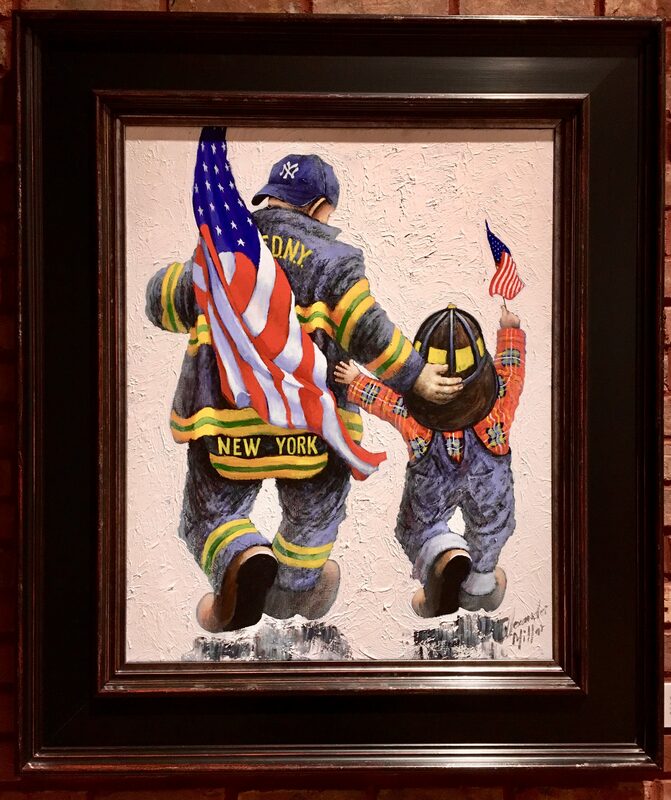 Everyday Heroes NYC is a collection of original oil paintings and limited edition prints which pay tribute to firefighters both past and present; fathers, brothers, songs, daughter, mothers and sisters. Everyday heroes. 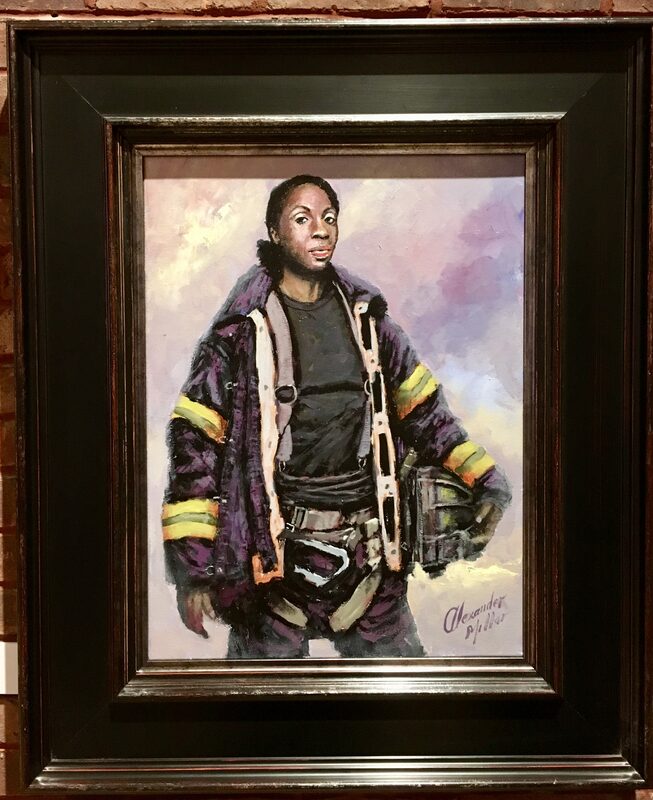 These portraits were inspired by and honors the men and women of the New York Fire Department; some of whom perished in the tragedy of the 9/11 attacks. 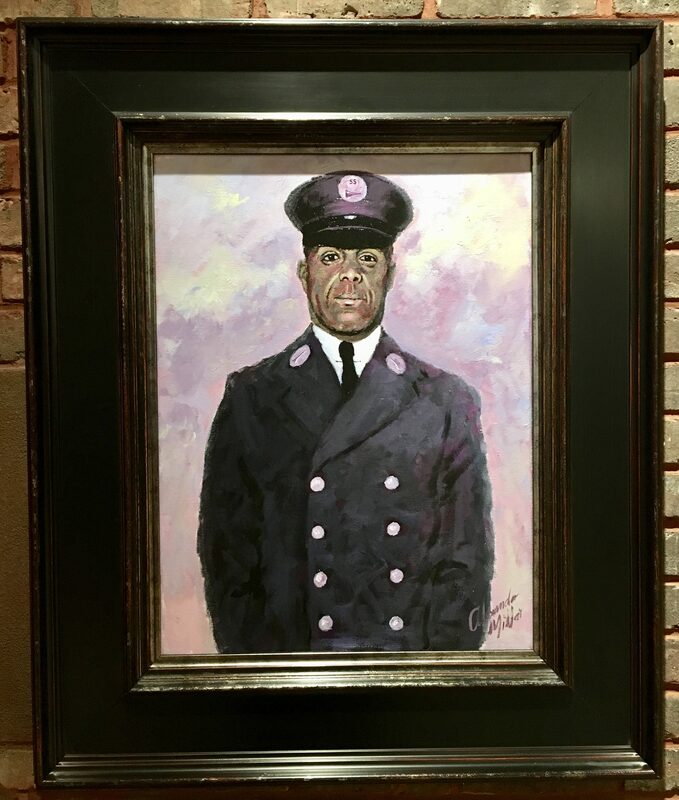 The subject of Forever in Your Arms (2018) is modeled after Keithroy Maynard, who was one of twelve African American firefighters to die at the WTC on 9/11. Maynard was just 30 years old. 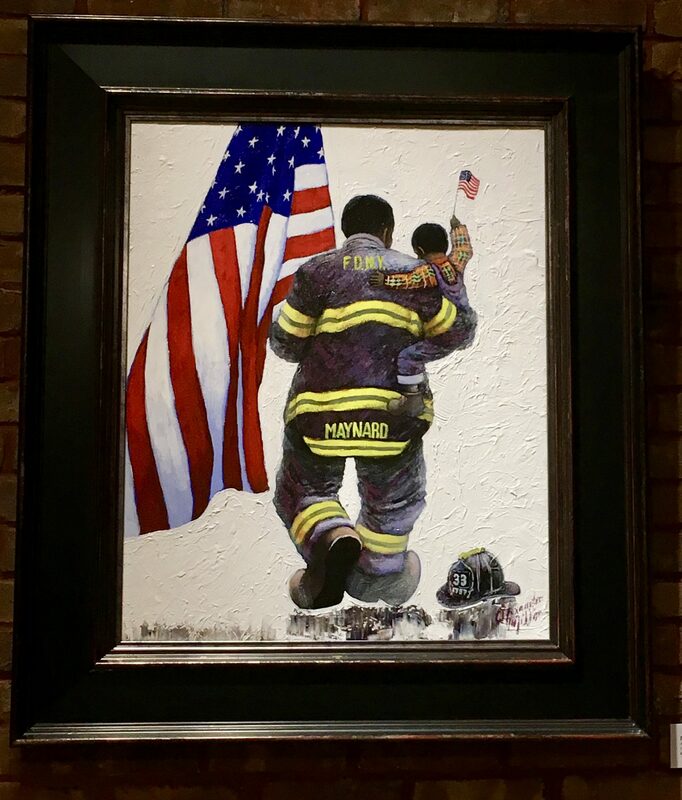 Painted in a similar style is We Can Be Heroes, seen here as the original oil painting from which a limited print series will be available. 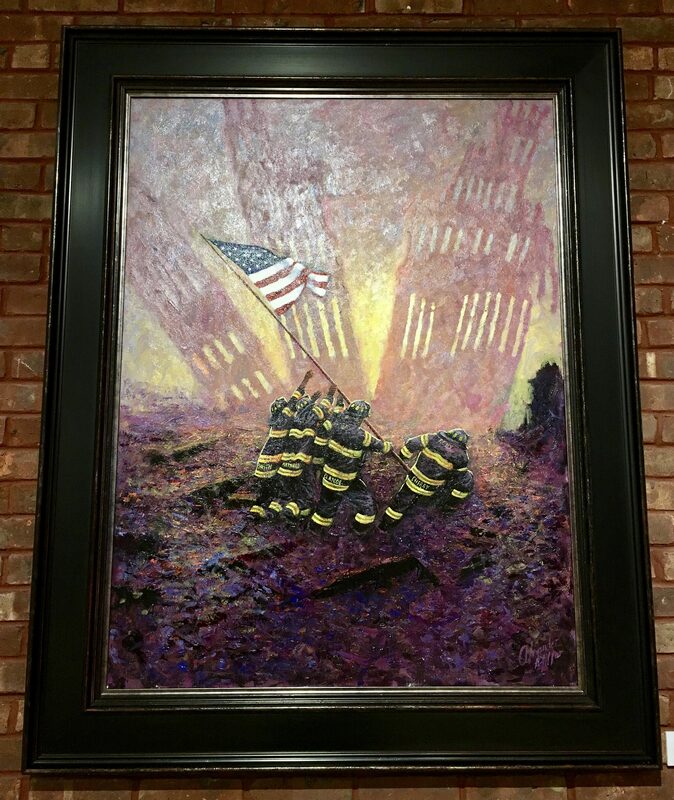 The final version of the print will not feature any reference to the FDNY, but will reference New York only, and it can be customized by Millar with any name of your choosing added to the jacket. This one is great, too. This lady was at the opening reception. 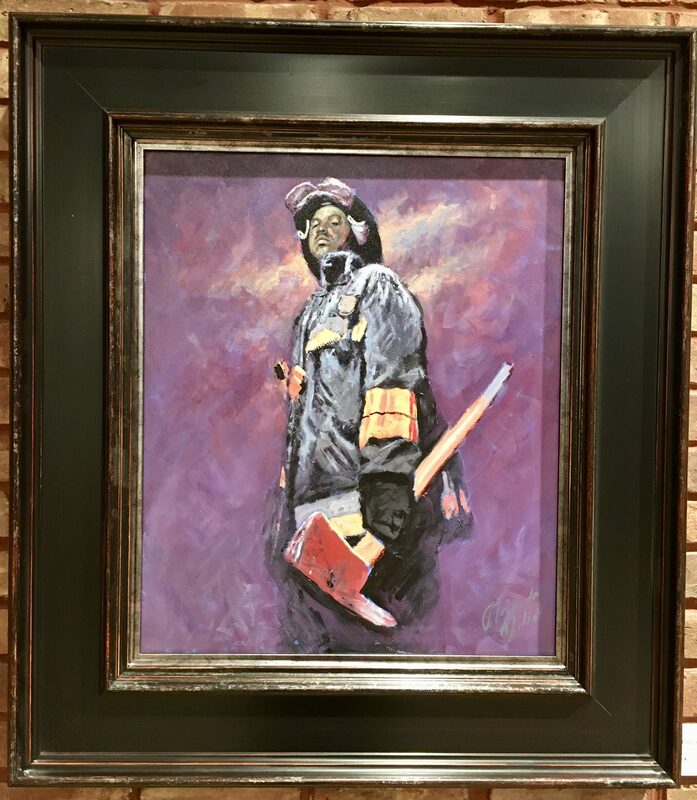 Alexander Millar’s Everyday Heroes NYC will be on Exhibit Through Saturday, April 20th, 2018 at Millar Fine Art Gallery, a Pop Up Space Located at 138 Wooster Street, NYC 10012. 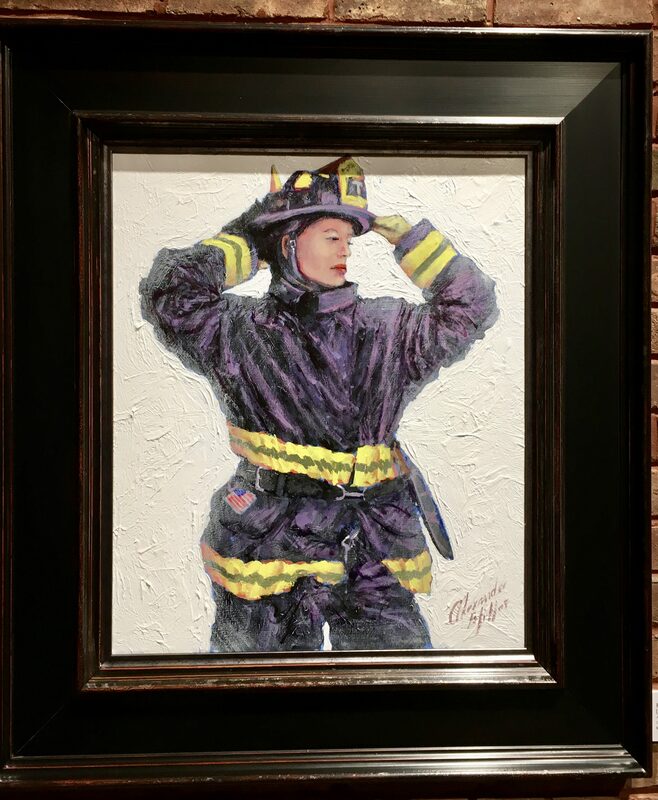 20% of the profits from sales of these artworks will be donated to the city’s Fire Museum and the Vulcan Society. Visit the Exhibit’s Website at This Link! ← The Egg House Pop Up Attraction on Chrystie Street!